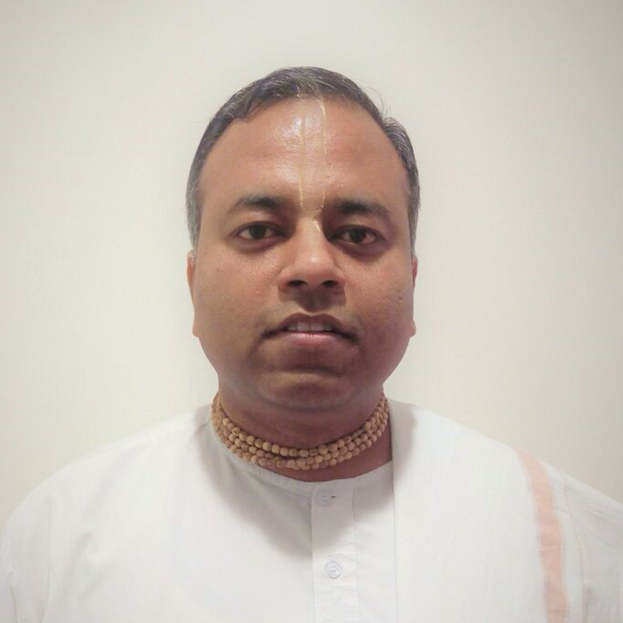 Sadananda Dasa (Hindu Chaplain, Vaishnava) did his undergraduate degree in Mechanical Engineering from NIT Allahabad and later his MBA from S P Jain Institute of Management, Mumbai, India. Sadananda has accumulated 10 years of experience in the corporate world in various management positions. During his stint of four years as a Lead Consultant at Infosys, he took keen interest in the philosophy of Sri Chaitanya Mahaprabhu (a fifteenth century saint who inaugurated the Bhakti Movement of India). He joined ISKCON Bangalore in 2011 and was trained in the philosophy and practice of Bhagavad Gita, Upanishads and Srimad Bhagavatam. He also received diksha (spiritual initiation) from Srila Prabhupada, the founder-acharya of ISKCON, under the Officiating Acharya system of initiation. While in ISKCON Bangalore, he actively counselled hundreds of students and young IT engineers in professional-personal life balance, peer pressure and stress management, life enrichment programs, meditation techniques, Yoga for Happiness – all on the principles of Bhagavad Gita. Since August 2016, he is located in Boston, MA and continues to counsel students, university faculty and young families and help them as a spiritual guide. He also conducts online courses on meditation and Vedic literatures for students and young people from around the world. He also spends considerable time of his day in spiritual practices, mantra meditation, self-study and distance-study of Vedic literatures with his seniors in ISKCON Bangalore. “Helping others to spiritually enrich their lives with wisdom, refined character, compassion and happiness is my life’s mission,” says Sadananda.